Maritime transportation is vital for local and global economies and international trade, but it also causes many environmental problems. 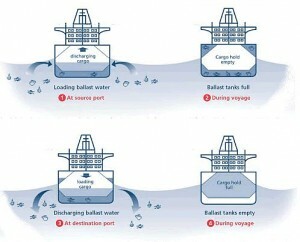 Water has been used as ballast to stabilize ships since the introduction of steel vessels during the last centuries. Ballast water provides stability and manoeuvrability and also compensates for weight changes in cargo loads, fuel and water consumption, among others. Ballast water is crucial for efficient and safe shipping operations, however it also has environmental downsides. The transportation of invasive species via ballast water is a serious ecological threat and have received a lot of focus during recent years. There is an International convention for the Control and Management of Ships’ Ballast water and sediment (BWM) that was adopted 2004, which promotes procedures and standards to control and manage the ballast water. Ballast water management technologies is seen as a key factor in combating ecological and health risks of ballast water. 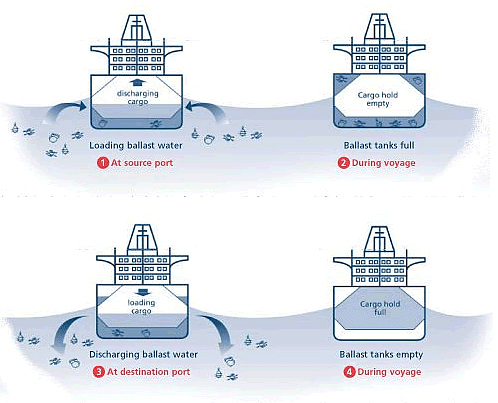 There are several ways to treat ballast water, either mechanical, physical or chemical methods, or in combination. These treatment methods are seen as a response to the ecological threat of invasive species, but the methods themselves also come with certain environmental risks. Chemical treatment of ballast water can result in formation of disinfection by-products, which are thought to have an impact on health. New research by Amisha Shah and colleagues have observed the extent of disinfection by-products (DBP) formation during chemical treatment of ballast water. Chlorine, ozone, peracetic acid (PAA) and chlorine dioxide, predominantly used in ballast water management systems in this order from the former to the later, where used to examine and assess DBP formation in several ballast water types such as seawaters, brackish waters, synthetic- and man-made freshwater. Our knowledge of the potential formation of DBP in saline water is limited and therefore is it important to conduct this type of studies, since many ballast waters often are saline. Studied DBPs include trihalomethanes (THMs), bromate, and haloacetic acids (HAAs). Approximately 50% of the formation of DBPs occurred within 24 hours of the usual 5 day ballast water treatment holding time. The findings highlight that our understanding of DBP formation in freshwater systems can be partially transferred to saline waters. The research show several factors that influence DBP formation in saline waters: salinity, dissolved organic matter (DOM) type/concentration, oxidant type/dose and temperature. Particularly salinity seems to influence the bromide concentration and brominated DBPs dominated in high bromide-containing waters. Temperature shows diverse and limited influence on DBP formation: TBAA and CHBr3 formation was not affected by temperature, whereas DBAA and bromide formation decreased following a disminution in temperature. Thanks to this study, important factors in DBP formation have been examined so ballast water treatment disinfection strategies can be optimized to limit DBP formation and discharge in our waters – one of many steps towards a sustainable transport system. 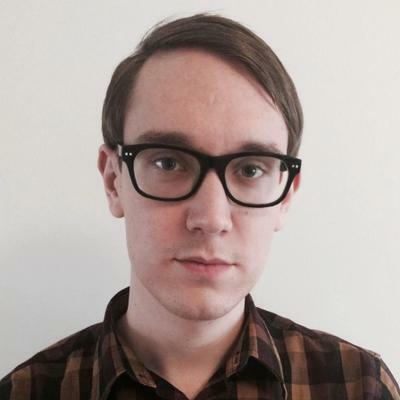 Jesper Agrelius is a MSc student in Environmental Science at Linköping University, Sweden. His main interests regards environmental science, especially climate change and biogeochemistry. You can follow him on @JesperAgrelius. *Access is free through a registered RSC account. With the diverse water conditions of ballast water, needing to be cleaned, would it be more practical to have land based facilities? Would this allow ships to traverse different waters where different environmental challenges may require different treatment systems installed? Would land based treatment allow easier testing, development, and continuous improvement for different pathogens and contaminates that may develop? Would verification through monitoring be safer? Would coast guard AMS systems good for only 5 years be a mute issue? Would chemical bi- products be less problematic? Could more jobs be created and a profitable business created generating tax revenue?